Post-screening the audience were invited to take a walk down by the loch, led by local biologist Peter Cunningham. Peter shared his expertise on the marine environment, informing us directly about the MPAs in the area and the threats that the coastline and also fishing industry is facing. The weather meant that wildlife was minimal, but we did manage to spot some seals and gannets braving the elements. 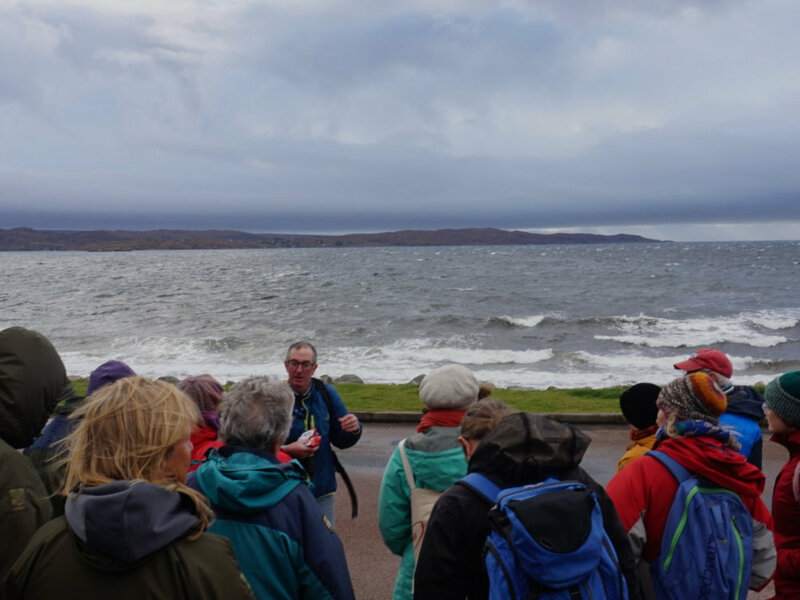 The GALE Centre hosted everyone after the walk; a community café, shop and tourist information hub run by the Gairloch and Loch Ewe Action Forum. Here people were able to have copious amounts of tea and cake, whilst discussing the two films and people’s relationship to the sea. Mairi McFadyen from Local Voices was back on tour recording these conversations, contributing to the wider archive of memories about the sea unique to each screening location. What does 'the sea' mean to you?